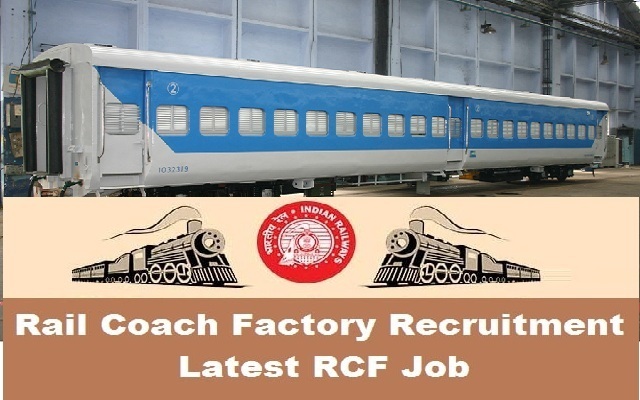 RCF-Rail Coach Factory Kapurthala Recruitment 2018-2019 Application Form, 04 Hockey (Men) Posts Download Application through Official website www.rcf.indianrailways.gov.in. last date for submission of applications is 22.01.2018. pattern of examination, Syllabus, Question Paper, Admit Date Release Date, Exam Date, Result Date etc. the stipulated criteria before Applying Now. 12th (+2 stage) or its equivalent examination passed, and OR Course completed Act Apprentices/ ITI passed candidates in any trade. NOTE:- Act Apprenticeship/IT! in any trade is the only qualification and no other qualification including Diploma in Engineering should be accepted as an alternative qualification on the ground of being a higher qualification in the same line of training. Minimum Sports norms for Recruitment: Represented the Country in any of the following Championships/events: (i) World Cup (Junior/Senior category). (ii) World Championships (Junior/Senior Category). (iii) Asian Games (Senior Category). (iv) Commonwealth Games (Senior Category). OR At least 3rd Position in any of the following Championships/events:- (i) Commonwealth Championships (Junior/Senior Category). (ii) Asian Championships/Asia Cup (Junior/ Senior Category). (iii) south Asian Federations (SAF) Games (Senior Category). (iv) USIC (World Railways) Championships ( Senior Category. OR at Pos1t1on m National Games Organized under aegis of Indian Olympic Association. OR At least 3rd Position in All India Inter University Championship organized under the aegis of Association of Indian Universities. OR 1st Position in Federation Cup Championships (Senior Category). NOTE:- (i) In Hockey, at least 2nd position in the International Tournaments of four or more nations may also be considered. 18 - 25 years Candidates born between 01/01/1993 and 01/01/2000 (both days inclusive) should only apply. Candidates born on or before 31.12.1992 are not eligible. Similarly candidates born on or after 02/01/2000 are also not eligible. Hard Copies of the signed application (registered online) along with photocopies of (i) ID proof (ii) Proof of Date of Birth (iii) Educational Certificates: Mark-Sheets/Degree Certificate (iv) Caste and attested copies of relevant documents should be addressed to “The General Manager (Personnel), Recruitment Cell, Rail Coach Factory, Kapurthala-144602” by post so as to reach us by 22.01.2018.